Home / Computers/technology / Gadgets / Video: Introducing The Insta360 One! The Insta360 is a 4K 360-degree camera that follows the same format as the Air and Nano and is compatible with the iPhone and iPad. The camera is able to clip into a smartphone port for direct control through a companion app and alternatively, it can be controlled remotely via Bluetooth or simply used as a standalone camera. The Insta360 shoots video at a resolution of 3840 x 1920 at 30fps, 250 x 1280 at 60 fps and photos at 24-megapixels, and provides 70 minutes of continuous video shooting. 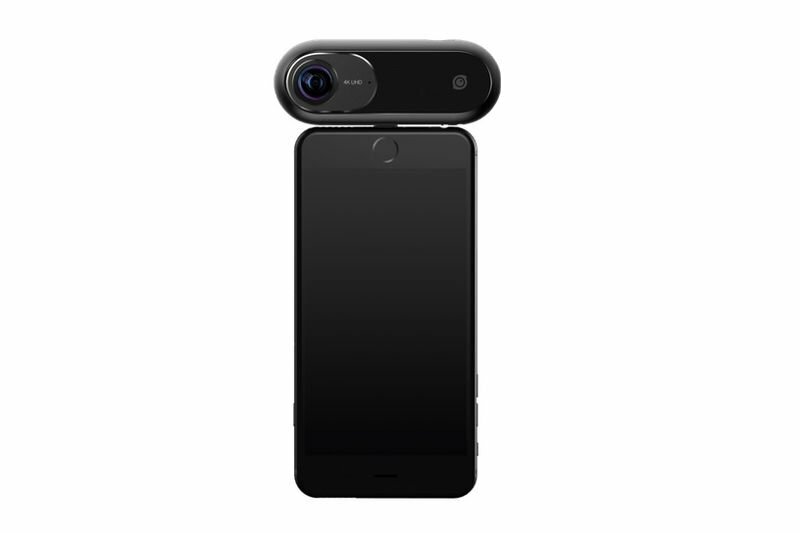 The user simply hits the record button to capture the spherical video, and afterwards connect the Insta360 One to their smartphone to download the video. The smartphone display acts as a window into the 360-degree recording, enabling users to wave their phone around and capture 1080p video just as they would in regular life. Almost as if they were stepping into the past. The One relies on either string or a selfie stick that the user swings around their head; this captures 240 fps slow-motion circling shots, keeping the subject right in the middle of the frame, with software then erasing the string or selfie stick from the shot automatically. This also applies to regular shooting with a selfie stick, with the apparatus deleted from the scene to give the impression of a flying camera. The Insta360 One camera is priced at $300 which includes a case, camera stand, MicroSD card and Micro USB cable for charging, along with the string attached to shoot in bullet-time mode.